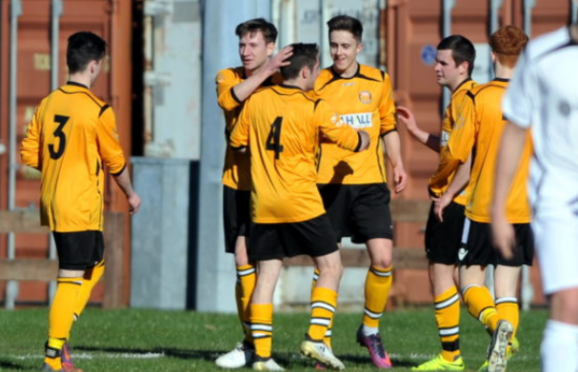 Fort William will remain in the Highland League next season. Fort were considering moving down to the amateur football ranks and joining the North Caledonian League. The future for the Claggan Park club looked uncertain when all six Fort William board members, including Stewart Maclean and Gerald McIntyre who contributed significant sums of money to keep the club going, announced in January they were stepping down at the end of the season. Fort William FC are delighted to announce our decision to continue playing in the highland league this coming season! After a few public and committee meetings it was decided this was the best for the club and we look forward to welcoming all to Claggan Park in the near future. But after several meetings between players, directors, committee members and volunteers, the Lochaber club has elected to remain in the Highland League for the 2018-19 campaign. Fort are also expected to name at least three new directors. A Fort spokesperson said: “We are delighted to remain in the Highland League next season. “This has only been made possible thanks to support from the local business community and new volunteers who have come forward to help with running of the club. Fort have been members of the Highland League since the 1985-86 season. They host Keith at Claggan Park tonight in their final Highland League game of the season. Highland League president Dennis Bridgeford is delighted the club has decided to remain in the division. He said: “I am pleased Fort William are continuing their membership of the Highland League. “The league had no appetite for losing a member club in their circumstances and is glad that the game is to retain its foothold on the west coast. “It’s good to hear that new directors have come forward to keep things going. However, it would be remiss of me not to thank the outgoing directors for their work. Fort William director and club secretary Marie McMillan has withdrawn her resignation and will remain on the board. She said: “It has been an extremely busy and unsettled time for everyone at the club. We always wanted to remain in the Highland League but there were challenges in place to do that. “As club secretary, I knew we would be asked at our public meetings about alternatives, so I looked into what was involved with the North Caledonian League. “We had to look at the options open to us but we always hoped to stay in the Highland League. We are delighted to continue in the Highland League.